I am a BACP Accredited and Registered Counsellor with a counselling practice in Borough Green, Kent. I work with adults for either short term or long term counselling and I can help with a wide range of psychological problems including symptoms of depression, anxiety, stress, relationship issues, illness, trauma, bereavement etc. 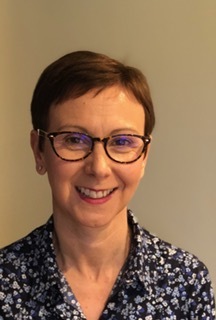 I have been working as a counsellor/therapist for over 10 years, initially in Primary Health Care and for the last 7 years working as a counsellor as part of a counselling and wellbeing team providing an in house counselling service to police officers and staff. I have experience of working with people of all ages and backgrounds who are experiencing a wide range of problems in their lives. How I work: I believe counselling provides an opportunity for you to explore what is happening in your life in a safe, confidential and non-judgemental way. I will work with you to look at whatever difficulties you are currently facing and the impact of this on your wellbeing. I aim to work with you by helping you to gain a greater understanding of yourself, to help you to develop coping mechanisms to improve your wellbeing and to help you make changes, if you would like that to happen. Some people wish to focus on a specific life event such as bereavement, diagnosis of an illness, or particular distress they are currently facing such as low mood/depression, work related stress, symptoms of anxiety etc. For others it may be a chance to explore why they feel like they do at this particular time in their life and to explore changes they have been considering. Contacting me: If you would like to find out more about how I work and how I could help you then please contact me by phone or email. I can work on a short term or longer term basis, however I will always review with you how the sessions are going to ensure we are working towards your goals.